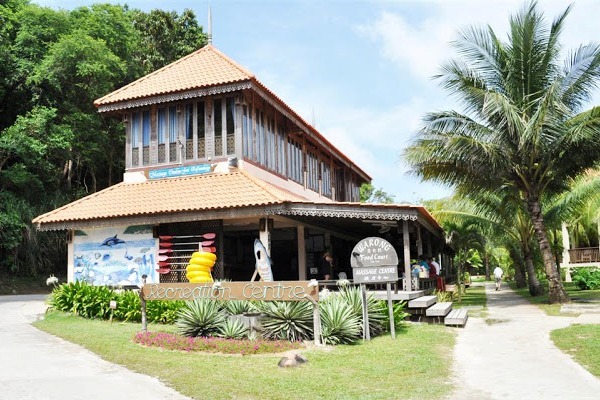 Located on the most beautiful beach, Pasir Panjang, Laguna Redang Island Resort offer its visitors with fine white sandy beach, crystal clear waters and emerald hills. This charming beach resort with 222 spacious rooms and suites is designed with traditional Malay architecture that provides a modern feel set amidst the tropical island surroundings, making it one of the most preferred resorts for visitors to Pulau Redang. 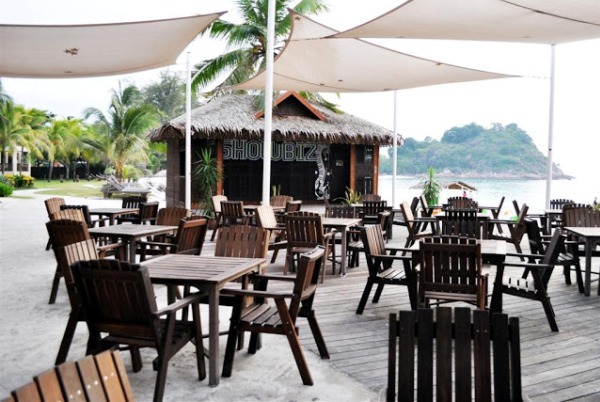 The resort offers one of the best selections of restaurants and bars among the resorts on Redang. 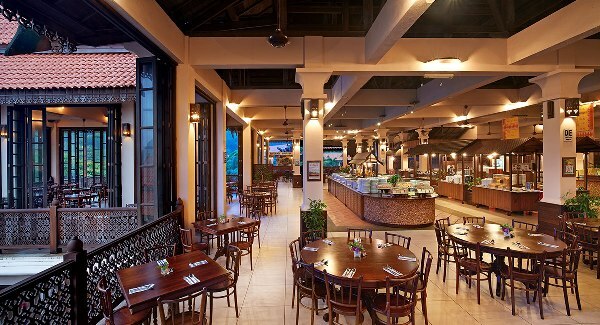 The Sang Suria Buffet Restaurant serves local and international cuisine, along with a BBQ dinner on every alternate night. Guests looking for ala carte food can dine at the Sri Serai Ala Carte Restaurant while those who want to try local delicacies can try the famous ‘roti canai’ at its Warong Food Court. 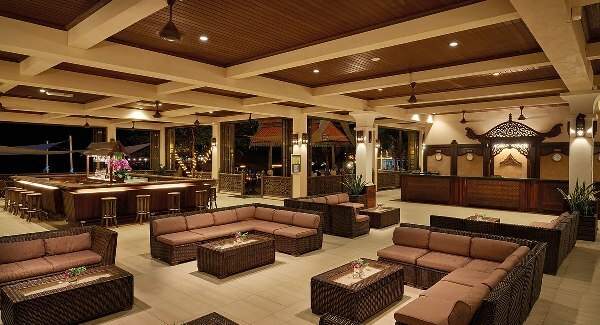 The resort also has three bars for guests to unwind and quench their thirst. 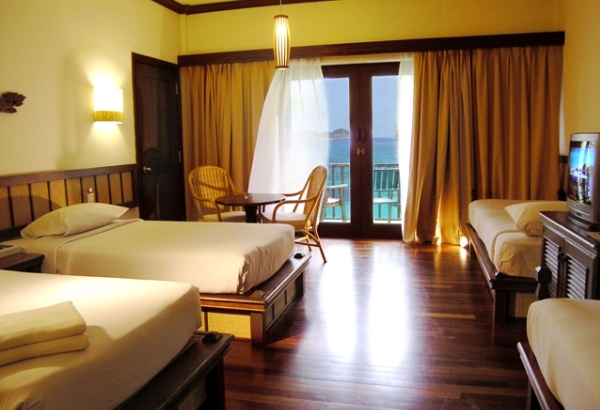 There is also a wide range of activities and facilities for guests to enjoy at Laguna Redang Island Resort. Sign up for PADI-certified diving courses at its dive centre or laze around the swimming pool and jacuzzi as you enjoy the beautifully landscaped gardens. You can also purchase souvenirs and gifts at its More More Tea Inn Gift Shop, which used to be the temporary set for the Hong Kong movie ‘Summer Holiday’. More More Tea Inn Gift Shop, dive centre, swimming pool, jacuzzi, internet room, medical bay, Sang Suria Buffet Restaurant, Sri Serai Ala Carte restaurant, Lobby Island Bar, Pool Side Bar, Tupai Beach Bar, Warong Food Court, Laguna Beach Club KTV & Disco, recreation centre and etc. Air conditioned, attached bathroom, color TV, coffee & tee making facilities, safe deposit box, hot & cold shower, private balcony (except standard room) and etc. Visitors are required to arrive at Shahbandar Jetty at least 30 minutes prior to boat departure time for registration at Laguna counter.